The United Arab Emirates (UAE) occupy a triangle of land and sea on Arabia's eastern flank. It is closely situated to the entrance of the Persian Gulf with extensive coastlines on its west and north facing shores, together with easterly coastline bordering the Arabian Sea. The UAE has approx. 700 kilometers of coastline, including 100 kilometers on the Gulf of Oman. Along the Arabian Gulf coast are offshore islands, coral reefs and salt marshes. Stretches of travel plain and barren desert characterize the inland region. To the east lie the Hajar mountains, close to the Gulf of Oman, which reach north into the Musandam peninsula, at the mouth of the Arabian Gulf. The western part of the Federation, most of which is Abu Dhabi territory, consists mainly of desert interspersed with oases. 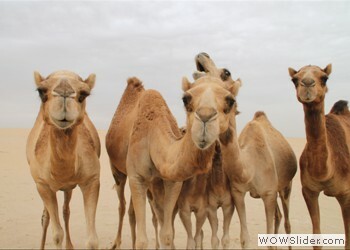 One of the largest oases is Al Liwa, beyond which is the vast Rub Al Khali desert, or Empty Quarter. Established on 2 December 1971, the UAE is a union of seven sovereign sheikdoms: Abu Dhabi, Dubai, Sharjah, Ajman, Umm Al Qaiwain, Ras Al Khaimah and Fujairah. Travel agents are beginning to promote the UAE as the hyped 'land of contrasts'. There is some truth in the cliché, for it boasts mountains, beaches, deserts, oases, camel racing, Bedouin markets all packed into a relatively small area. The legendary duty free shopping of Dubai is marred by the difficulty of finding any real bargains anymore due to the low double digit inflation in the UAE. If you only visit one country in the Gulf, the UAE is your best choice: it has the most relaxed entry regulations in the region, the best tourist infrastructure and it is extremely accessible to independent budget travellers. Due to its location, the UAE has been able to establish a link between Europe and the Indian subcontinent, the Far East and Africa for a long time. It is still playing the role of intermediary between these vastly different cultures. The country's deep-rooted cultural heritage, accessible in the many cultural centres and at traditional sports such as falconry, camel- racing and horse-racing, has been a powerful attraction and tourism. The UAE has also become a popular venue for conferences, regional and international exhibitions and major sports events such as the Dubai World Cup, the Dubai Desert Classic Golf Tournament as well as polo and cricket competitions. Today, Abu Dhabi and Dubai with their impressive skylines are among the most modern cities in the world and the country itself has become one of the world's fastest growing tourist destinations. Both cities are increasingly becoming renowned worldwide as providing world-class tourist facilities, and are developing at an incredible pace with some of the world's most ambitious architectural projects springing up out of the desert all the time. Dubai is also famous for its annual one-month Shopping Festival. As gold is a major symbol of UAE, there are numerous drawings during this time where they give 24-karat gold bar and other merchandise to lucky ones. In the heart of Dubai, traders and merchants from all over the world gather at the Global Village, also a huge part of the Shopping Festival. The sky is glittered with fireworks every night during this amusing time. There is no exception to not enjoy your time in Dubai! From the world-class hotels and shopping of the big cities to the more laid-back atmosphere of the smaller Emirates, including the cities of Fujairah and Al Ain, the UAE really does live up to its name of a 'world of contrasts'. Building sights are a key feature of the landscape. Find first then book a hotel. In order to enjoy United Arab Emirates family travel you will need to obtain a visit visa if you plan to spend more than 14 days in the country. The 7 emirates that the visa allows you to enter include Umm Al Qaiwain, Sharjah, Abu Dhabi, Ras Al Khaimah, Dubai, Ajman and Fujairah. You may be able to get a visa at the airport though certain circumstances require you to have a visa before you travel. If you are traveling with you family, here are a few ideas to enjoy you stay. A desert safari is an exciting adventure for the entire family as you will travel across the desert in a 4-wheel drive vehicle. There are many opportunities from sand boarding on the sand dunes to eating under the stars. 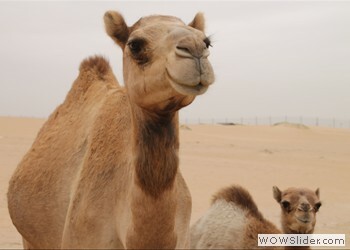 Safaris will include a stop at a camel farm for a ride on a camel. The chance to view the gorgeous sunset on the desert is a must for any trip to United Arab Emirates, and camping out in the desert is an experience unto itself. A hot air balloon ride is another great way to see the desert. All members of the family, from little children to older adults, will enjoy the thrill of viewing the desert from a great height. Balloon rides occur early in the morning so you will be able to see the stunning picture of sunrise over the desert. The Wonderland Family Fun Park contains 2 different parks: Splashland and Wonderland theme park. This is the largest amusement park in the country, with more than 30 rides and a water park encompassing 22 acres of land. There is great dining and tons of fun for everyone. Another excellent spot for kids is the Magic Planet Children’s Center in Deira City Center Shopping Mall. This is an extensive indoor leisure center that contains 10-pin bowling, mini golf, electronic games and a bungie jungle. There are many themed rides as well as a soft playground for very small children. Besides the traditional Arabic food you can also find Greek and Lebanese choices. These foods are very tasty and you can easily find a market restaurant or inexpensive but excellent dining option. A fun place to go for dinner is one of the restaurants where you can actually see the food being prepared such as Palmbeach Thattukada in Dubai which is an authentic Kerala Restaurant. The United Arab Emirates Budget Travel Guide will help you take advantage of all the sights and scenes that the country has to offer. This luxurious land of the Arabs is a must see destination. Even though it might seem like an expensive affair, you will be surprised with the things you can do in the UAE on a shoestring budget. Getting to United Arab Emirates is now an easy task. Several airlines fly to this destination. 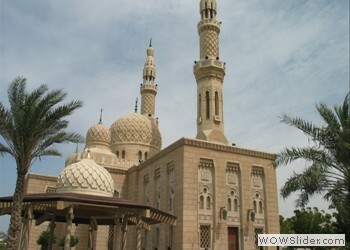 There are several tour operators that offer discount tickets to the UAE. 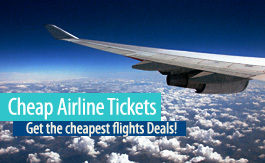 Etihad Airlines connects to all the major cities in UAE and offers good deals. In case you are traveling from Saudi Arabia or Oman you can travel by road to the UAE. From any other country in the Middle East you can avail the inexpensive bus service to the UAE. Dubai is the star attraction in the UAE. This city is compared to the Las Vegas of the United States of America. Everything about this city is expensive. Among all the splendor you will find budget hotels. Al Reem is one such hotel that will give you a chance to experience Dubai and other attractions in UAE at an affordable price. The hotel is well-maintained and is tourist-friendly. Similarly all major cities in the UAE have budget accommodation deals, class hotels and hostels. For a budget traveler, UAE offers several eating out options. The street food, be it the mighty chicken roll called Shawarma or the fried chicken, is a treat to the pallet and easy on the wallet. UAE is filled with such fast food joints that offer delicious food at affordable rates. The taxi service in the UAE is fairly inexpensive. You can tour the UAE in the local taxi. You can save a lot as the local cab drivers prove to be enthusiastic guides as well. Renting a car, so that you can drive yourself around, also proves to be economical. The routes are well marked; hence the chances of getting lost are minimal. UAE also has a fleet of low cost airlines that connect to all the major cities. The UAE is filled with tour operators fighting to get business. As a result, you will be able to find an operator that gives you the best value for your money. Unlike other tourists spots, availing the service of a tour operator in UAE will not cause much damage to your wallet.